The kid from Cali definitely caught everyone's attention Saturday. 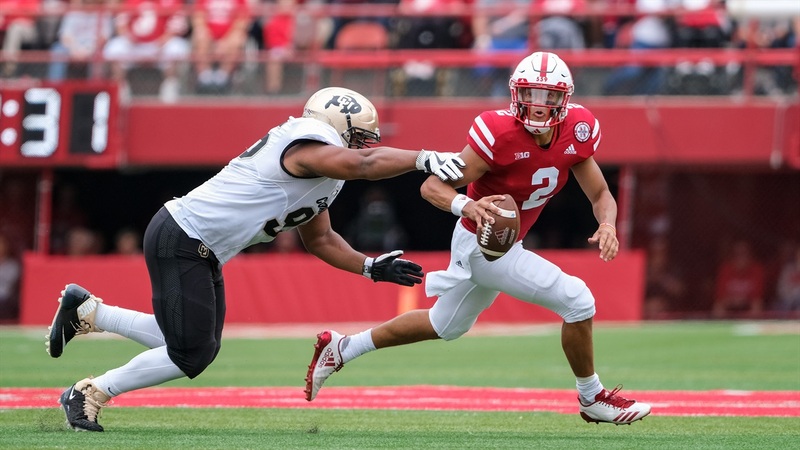 True freshman quarterback Adrian Martinez was, for the most part, brilliant in his debut for the Huskers against Colorado. He ran for 117 yards and two touchdowns (the first coming on a 41-yard keeper) while throwing for another 187 yards on 15-of-20 passing with a touchdown and a pick. Big time numbers, right? That 41-yard touchdown run was the longest by a Nebraska quarterback since Tommy Armstrong Jr. had 42 yards on Sept. 6, 2014. On several occasions — the over-the-shoulder touchdown toss to wideout JD Spielman, the ball he dropped right into wideout Stanley Morgan's lap in heavy traffic in the endzone — Martinez showcased the kind of arm Husker fans have heard about. At other times, he made plays happen with his feet that you just can't teach. Martinez left the game early with a knee injury and backup Andrew Bunch had to close for the Huskers. Frost said the initial feedback on the injury is "semi-encouraging" but they'll wait to comment further until they learn more. The injury soured an otherwise strong showing. We've rounded up what everyone had to say about the freshman after it. Coach Scott Frost: "I thought he played great, first time out there," head coach Scott Frost said after the game. "There’s just some mistakes, the freshman mistakes, the first game mistakes that I wish we could have gotten out of our system last week. Defensive back Evan Worthington: "He's a really good quarterback. You know, I didn't expect that. He's a really, really good quarterback that was tough to compete against. We're just happy we were able to get the win." And one more very literal take.